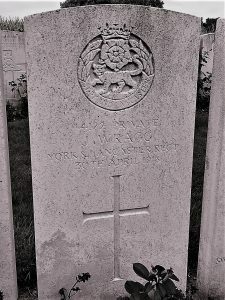 † ≠ ß Щ 44122 Pte York & Lancs 1/4 Hallamshire Bn. D of W 30/4/1918. 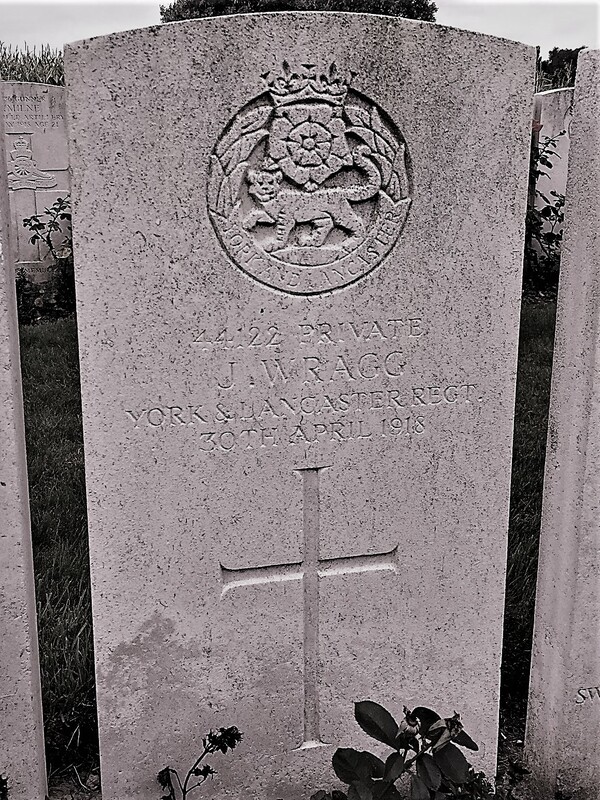 Grave; Arneke British Cemetery, Nord France. b 1891 Spitewinter, Ashover. 1911C; living at Back Lane Top, Hathersage, a labourer on the railway, his father Francis, being recently widowed, had six daughters, of whom Ida, 6, and Ivy, 3, were both b Hathersage. James’ wife was living at Triangle End, Chapeltown at the time of his death. Previous Previous post: WRAGG, Colin. Next Next post: WRAGG, Jesse.